Dieting is a serious endeavor that requires conscientious effort and dedication. Just like any other challenge you face, there is a right way to approach a diet and a wrong way. Unfortunately, improper dieting can cause permanent damage to your physical and mental health and can even endanger your life. 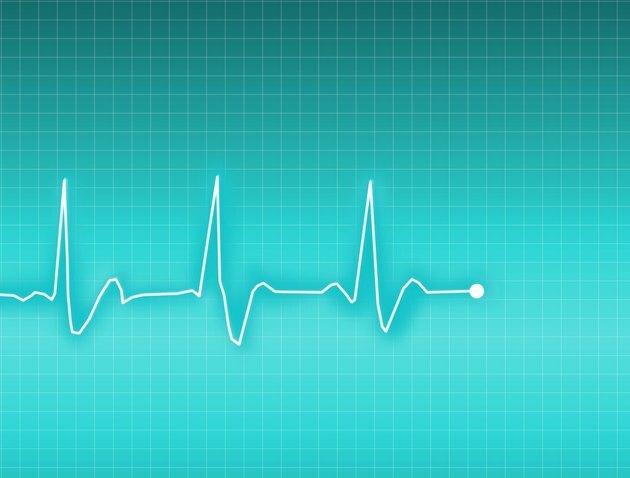 Everyone occasionally experiences the changes in heart rhythm known as palpitations: racing, pounding, fluttering, skipping a beat, an extra beat or any change in the normal rhythm. These sensations are generally harmless, according to the National Heart, Lung and Blood Institute. Stress, anxiety, exercise, emotions, components or ingredients in food or beverages, can all trigger palpitations. Consult your physician if you routinely experience palpitations, especially if they are accompanied by other symptoms, such as dizziness, lightheadedness, difficulty breathing, fainting, pain or tightness in your chest, as this may indicate a more serious underlying condition. Crash diets and very-low-calorie diets that cause rapid weight loss deprive your body of required daily nutrients, weaken your immune system, lead to dehydration and stress your heart, causing palpitations. When you deprive your body of the nutrients needed for survival, it begins to feed on itself, taking protein from lean body tissues, such as muscle. Protein is broken down to increase glucose levels in blood and in the brain, according to the Dietary Guidelines for Americans, 2010. The heart muscle also deteriorates as a result of improper dieting and insufficient calorie intake. Some weight loss products, such as green tea, contain the stimulant caffeine. Drinking an excessive amount of green tea can contribute to weight loss, but the caffeine in green tea can cause heart palpitations, according to the University of Maryland Medical Center. If you drink green tea for weight loss, choose decaffeinated green tea products. If you have a heart problem, kidney disorder, stomach ulcer or are pregnant, you should not drink green tea. Consult your physician about any concerns or questions regarding how green tea may affect your health. Insufficient blood glucose from improper dieting results in hypoglycemia, also called low blood sugar. One cause of low blood sugar is insufficient food intake. Heart palpitations are a symptom of hypoglycemia, which, if left untreated, can cause brain damage, coma or death, according to the University of Maryland Medical Center. Eating a sufficient number of calories prevents hypoglycemia. Electrolytes are minerals found in all body fluids. You replenish electrolytes – sodium, calcium, potassium, chlorine, phosphate and magnesium – each day from the foods you eat and the fluids you drink. Electrolyte balance is vital for controlling heart rhythm. Fluid intake must equal fluid excretion to keep electrolytes in balance. A diet lacking in sufficient nutrients and adequate fluid intake causes fluid and electrolyte imbalance. According to the NYU Cardiac and Vascular Institute, electrolyte imbalances can lead to a disturbance in heart rhythm called arrhythmia. Heart palpitations are a symptom of an arrhythmia. The safest way to diet is to choose on that makes sure you get all of the nutrients your body needs to maintain good health. The American Heart Association explains that a healthy diet offers you numerous fresh fruits and vegetables, whole grains and low to no-fat dairy products. It should also encourage regular exercise or physical activity which helps you attain your weight loss goals.